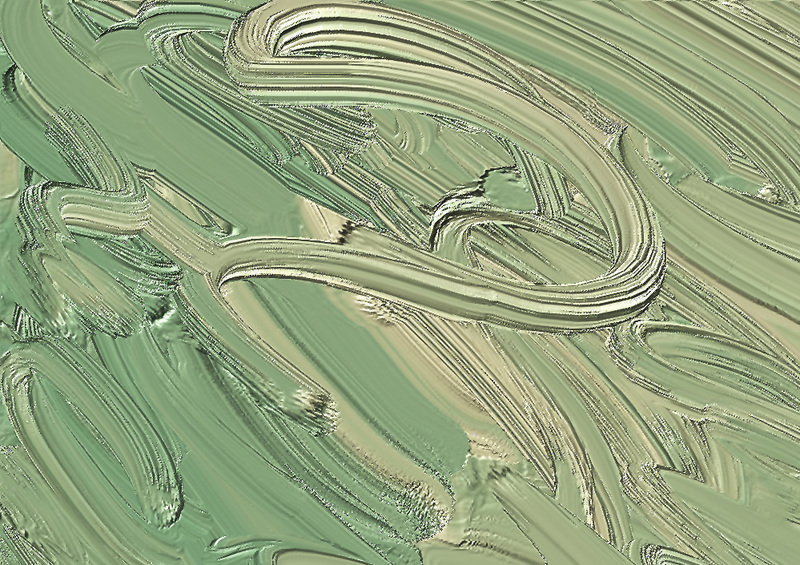 Here’s a detail at actual pixels showing my digital brushwork. Here’s the female head up closer. 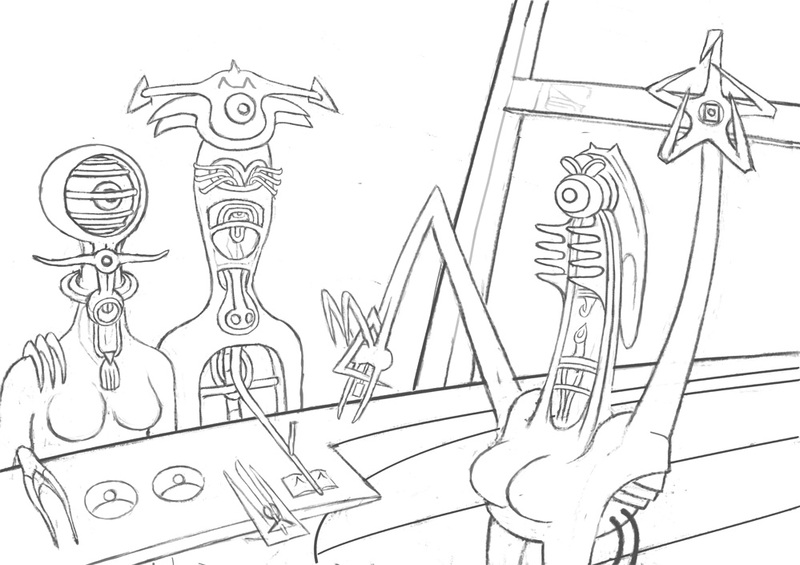 This is based on one of Matta’s peculiar insectoid/mechanical figurative paintings I wrote about here. I never saw this body of work before, though I had seen some of Matta’s more abstract work. 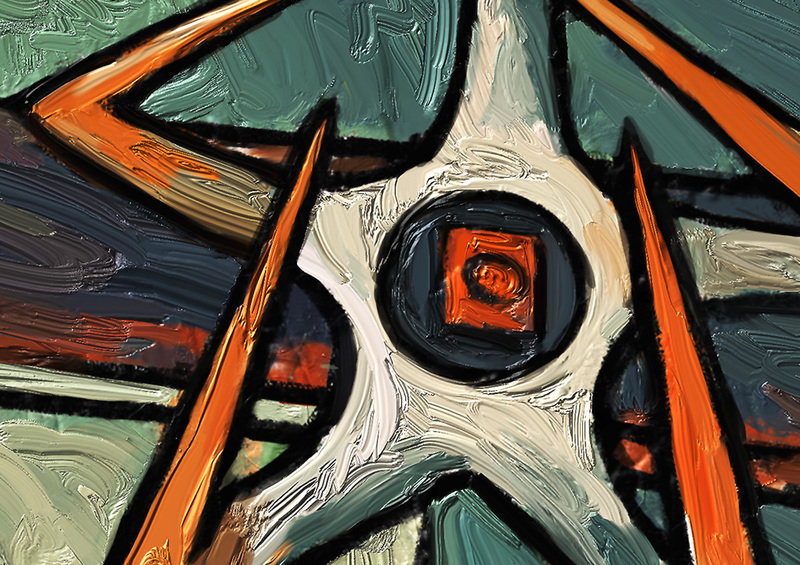 These particular pieces are my stand out favorites, and this painting is a tribute. Here’s the original, and you can see I only used a section. 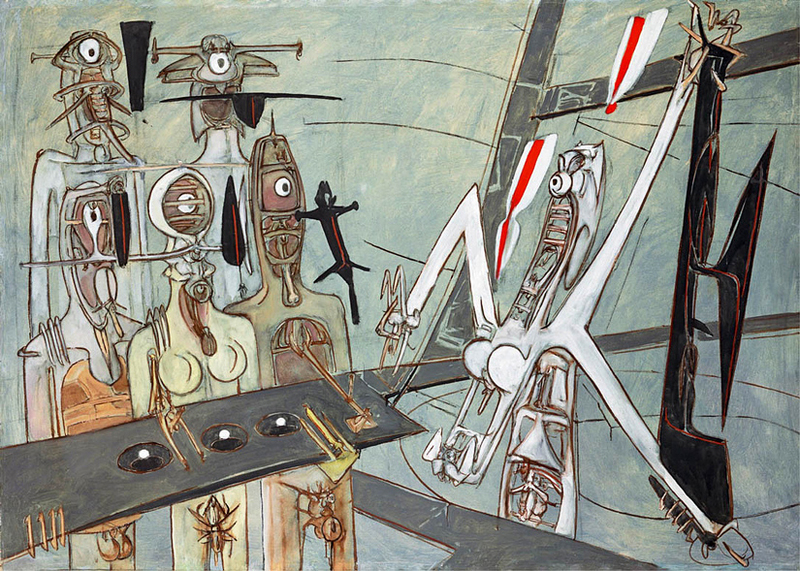 Octrui, by Roberto Matta, 1947 141 x 195 cm. This isn’t part of my new series, because it took more than 3 days and wasn’t working exclusively from my imagination. 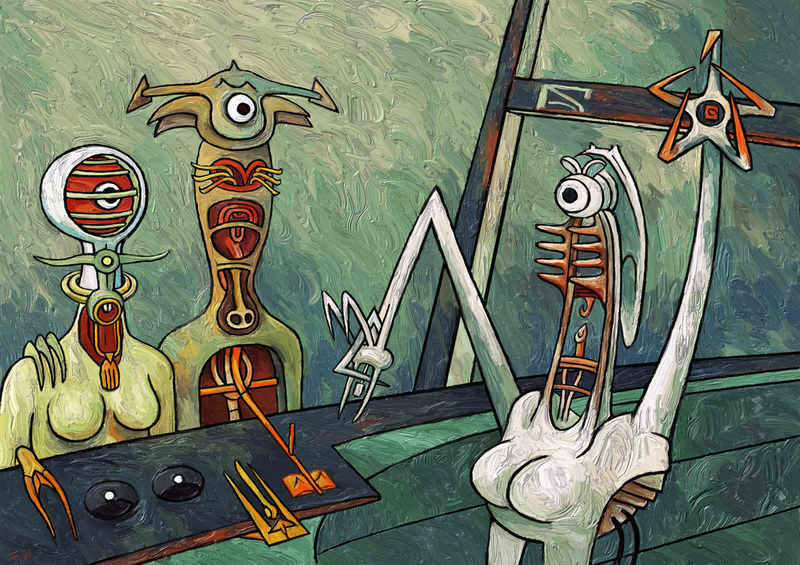 It’s quite a universe Roberto Matta created and populated with these strange stand-ins for humans. I don’t think I did anything to improve on his work. My version is a “cover”. Wasn’t easy, either. 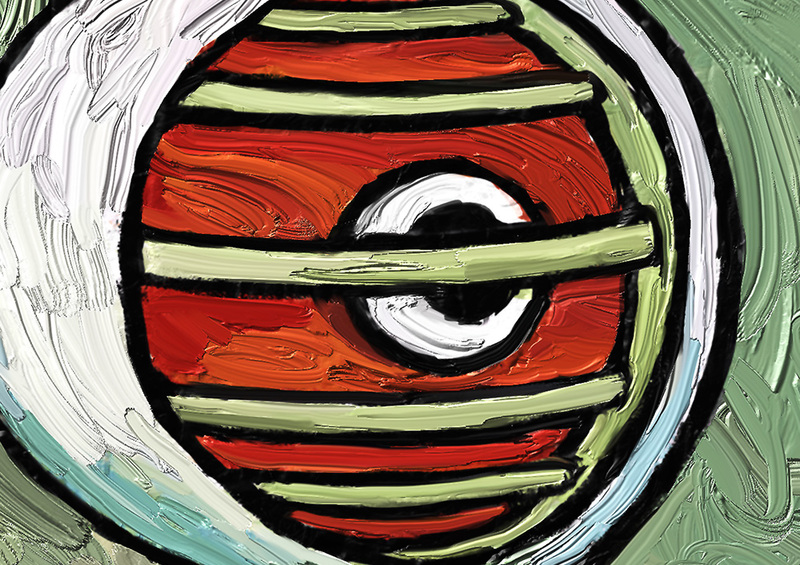 Posted in artTagged art, contemporary art, digital painting, Expressionism, Matta, painting, sci-fi, SurrealismBookmark the permalink. Brilliant great work! Reminds me of paolozzi a little too! Tnanks, man. So glad you like it. I didn’t know about Paolozzi! Had no idea about Matta, but I know Kahlo. Always nice to get to know a new master that I never heard of. but of course we tend to look on what we like. The good thing with pomo is that it asks us to look at what we dont like too. refreshing for the brain to discover lesser kown established artists. But I also wanted to say about that other post on Hirst that you dont have to apologize,IMHO, for your text and video opinion nor does it come out too harsh a critique to Hirst or his likes. Thanks Anna. Glad you didn’t think my criticism of Hirst was too harsh.